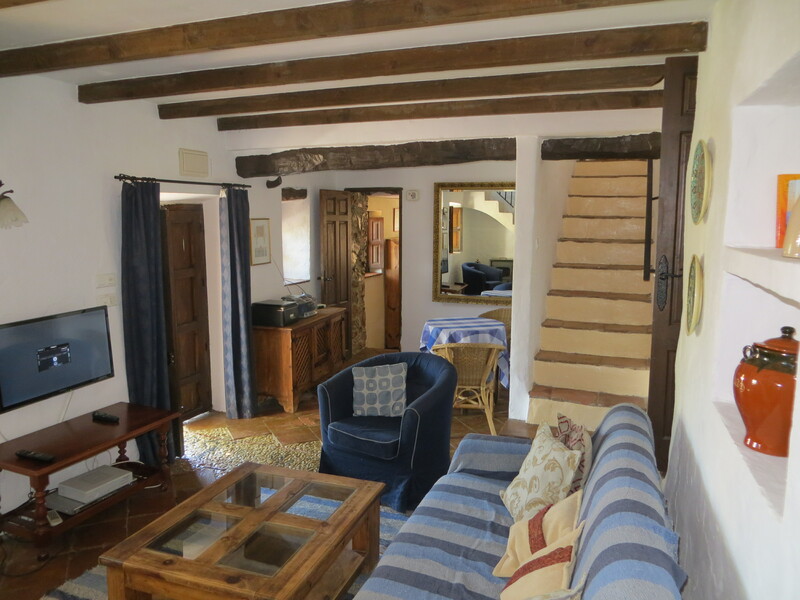 Casa Carrasco is a haven of peace and tranquillity, located approximately 6 km from the authentic small Spanish town of Colmenar and an easy drive from Malaga airport. 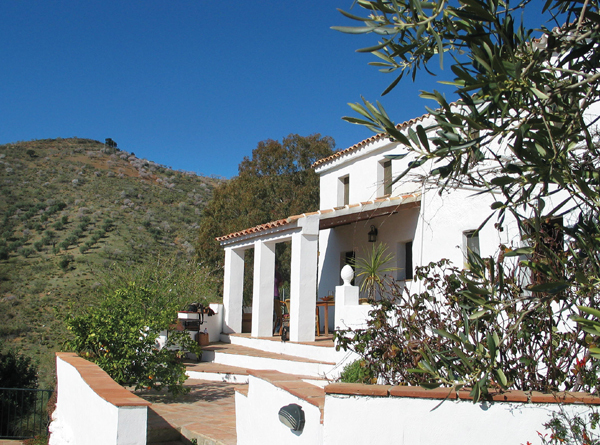 Once a typical working farmhouse, we have fully restored Casa Carrasco, retaining many of its original features. The detached house is fully equipped inside and outside, and has south facing terraces leading down to a private swimming pool 8m X 4m, set amongst olive and almond covered hillsides. The house lies at the end of a good unsurfaced track of approximately 2 km at the head of a valley looking south towards the mountains backing Malaga. The nearby small town of Colmenar is an authentic working Andalucian town with a surprising number of shops, bars and restaurants. Within easy striking distance are the historic cities of Malaga, Granada, Cordoba and Antequera. The coast is a short drive away, as are other traditional white towns. Also nearby are the Montes de Malaga and El Torcal National Parks. Please note, the house is strictly NO SMOKING and unfortunately we do not accept pets.